What are the secrets and principles that lie behind the design of traditional Chinese gardens? Why is the water in the garden green and not clear? What are there bat-shaped door fittings? 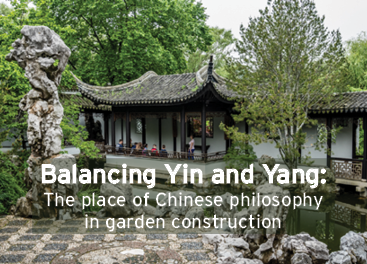 In this talk, we’ll explore how yin and yang and other ideas from ancient Chinese wisdom books like The Book of Changes and the Dao De Jing are embodied within the garden, and get a sense of how the traditional Chinese worldview is brought to life within its walls. After the presentation, we will tour the garden to see these ideas in action! Posted on January 29, 2019 .